At Hostel Pearl we offer a choice of private rooms, dorm rooms and apartments, located a step from restaurants, galleries, historical monuments, numerous cafes, bars, clubs and amazing sightseeing points. Our hostel includes rooms for one,two,three,four,five,six and seven people, some with shared and some with private bathrooms. Each room is equipped with Free WiFi, air conditioning and TV. We also have apartments suitable two,three,four,five,six or seven persons. Theyâ€™re ideal for families, backpackers, budget travellers, hostels fans and groups. There is always the possibility for one extra bed. 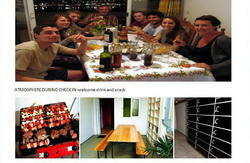 Each apartment is equipped with Free WiFi, air conditioning, a kitchen, private bathroom and cable TV. Hair dryers are available upon request. We offer a laundry service for 70KN. Airport pick-up service is available upon request. We can also facilitate scooter, motorbike, car, speed boats and jet ski rental for the best prices and the latest models. 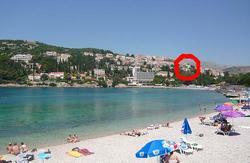 Want to go kayaking from Pile Bay around the city walls to Lokrum Island? Just ask us! Please notice:Due to high demands from Our customers to stay inside the city walls,we also organise property(Hostel Pearl Old City) on exclusive location just 10 metres from the main historical street-Stradun.Rooms and apartments in this property are available upon request. Please don't hesitate to asks us about anything! Our mission is to fulfil your expectations. When you arrive at Dubrovnik Airport, take the Atlas bus. It costs 35 Croatian Kuna per person (approx â‚¬4.50). Alternately, take a cab to Dubrovnik Old Town at Pile Gate. Then give us a call. Please take the local yellow buses number 1, 1A, 1B or 3 to Pile Bus Station in Old Town. This station is just two minutes' walk from us. Just find the small mini-market (close to Tisak Media), take the stairs and go straight. After the corner, you will see a green gate with the inscription 'Hostel Pearl'. If you get lost, give us a call and someone from our staff will help you with your bags and directions. If you wish to avail of our airport transfer service, please contact us the day before you arrive with your flight number and arrival time. Airport is 20km from our guesthouse and we charge â‚¬32 Euros for airport pick-up. Also we can transfer a big group from 5-9 people and for â‚¬62 for bus transport). We can pick you up at any time(0-24h).